NMG, a healthcare workplace solutions company, utilizes Altus' products in some unique and efficient ways. The MPC-43P Kidney Laptop Cart is one of Altus' most popular products due to its versatile applications. 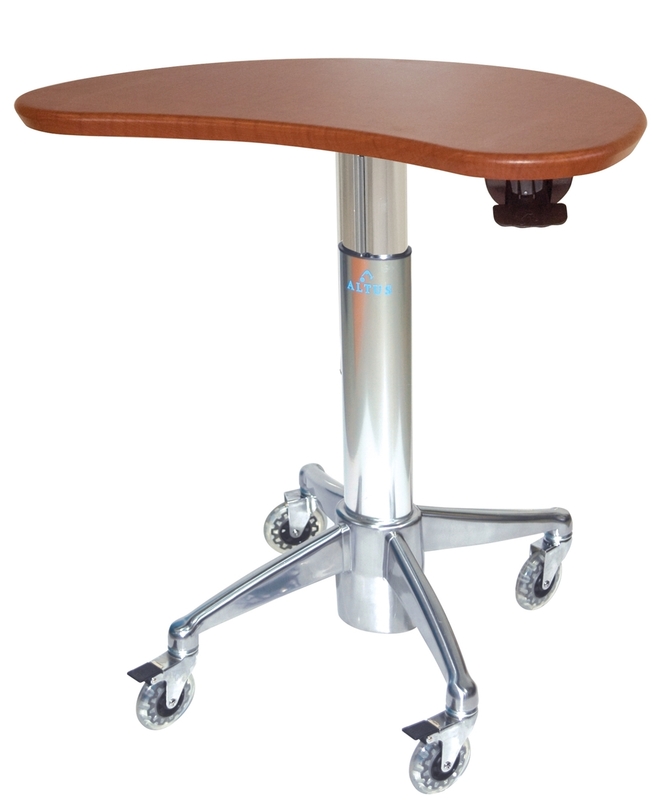 Not only is the cart great as a height adjustable non-powered laptop cart, it also can be used as a mobile work surface, an ideal set-up for enhancing interaction between patients, family members and clinicians, a location to prep supplies or set a tablet. NMG has creatively used the product as a location for a wireless keyboard within a patient room setting. This application allows for the clinicians to have full mobility around the entire room while communicating with a screen on the wall of the patient room. Facilities can get the best of both worlds by hard-wiring technology and constant power, all while maintaining access to patients and family members with the mobile cart platform. Click here to check out the 360 degree view of this set-up on NMG's website. NMG also deploys the Altus product in more common applications, such as LCD carts in a NNICU, as shown below. These carts help bring EMR closer to the point of care.